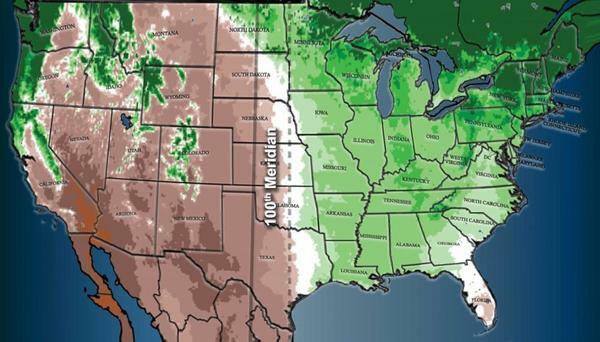 Climate change has moved the 100th meridian west climatic divide from its historical position (solid line) 140 miles eastward (dotted line) in recent decades. The Western and Eastern U.S. have historically been roughly divided by the 100th Meridian. That longitudinal line is also a climactic boundary: historically it separated the dry, arid West from the more humid Midwest. The more arid climate of the west has crept 140 miles east in recent years, to overtake the more humid eastern U.S. That shift has major implications for agriculture. "A farmer who was considering passing on her or his farm to their children over the next decade or two should be considering these kind of climate or environment changes," said Richard Seager, lead author of the study and Palisades Geophysical Institute/Lamont Research Professor. "There has to be some kind of adjustment. They can’t just carry on doing exactly what they’re doing right now because of this encroaching aridity. " The change in climate could mean that Midwest farmers might have to plant wheat instead of corn, or considering converting their fields to rangeland. 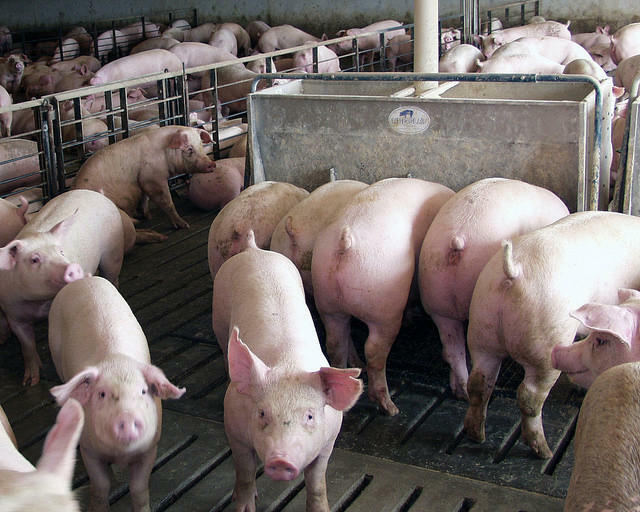 It might also mean that farms need more land and more irrigation water to compensate for the decrease in humidity in the Midwest. Seager and his colleagues predicted that if climate change trends continue, this eastward climate shift will continue, and the aridity of the West will continue to overtake the central U.S.